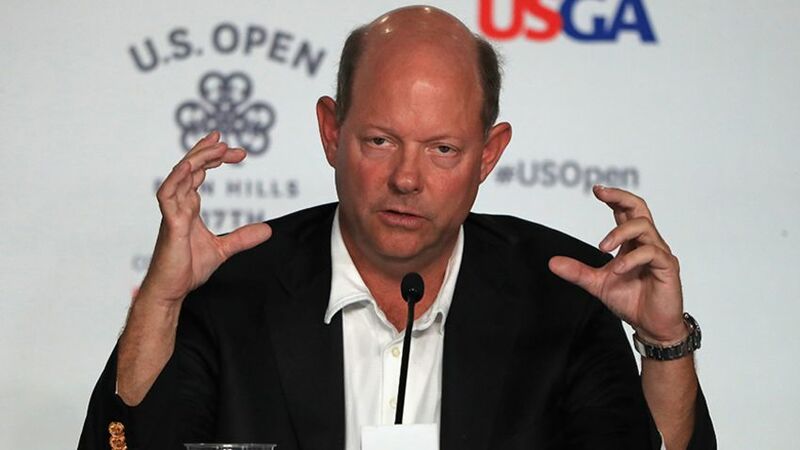 Erin, Wis. – The United States Golf Association has implemented several changes to procedures to ensure another rules mishap does not affect this week’s U.S. Open at Erin Hills. A year after eventual champion Dustin Johnson was embroiled in a final round rules drama the governing body has acted decisively. Johnson was initially cleared of causing his ball to move on the green early in his final round at Oakmont last year before being told the issue would come under further review and a penalty was likely. As such he played the final holes unsure of exactly how big his lead was but ultimately prevailed by three shots (a one-shot penalty was enforced post-round) to claim his first major championship. The uncertainty and resulting uproar prompted several changes. “After last year's U.S. Open we made the commitment to review all of our championships and rules and related protocols and procedures and we've done that,” Senior Managing Director of Championships & Governance John Bodenhamer said. • The ability to immediately mobilize their five person rules committee who will now be in close communication with each other at all times. • The identification of Thomas Pagel, the senior director of rules, as the “white hat referee” who can make instantaneous decisions that will be deemed final. • The enhanced use of technology with four on course video review locations and tablets in the hands of the committee to get quick access to vision if needed. • The removal of walking rules officials for the first time since 1991, instead moving to static model whereby two officials will be stationed at each hole, giving them every opportunity to be ready for all possible occurrences in their jurisdiction. • The adoption of the local rule introduced to golf back in December whereby a ball or ball marker that's accidentally moved on a putting green can be replaced without penalty. • And the adoption of the new decision from April that says the naked eye and reasonable judgment standards will be leaned on when it comes to reviewing issues. “These and other steps that we've implemented we think will allow us to really expedite our rule-making process and be decisive in our communications, which were two things that perhaps we fell a little bit short last year,” Bodenhamer continued. “But we're committed this year to expedite it and we're excited about it. Our main goal is for this week to be about the players and their journey to the final round. They're the story of this championship. As such, we are very much looking forward to an exciting and great 117th U.S. Open"